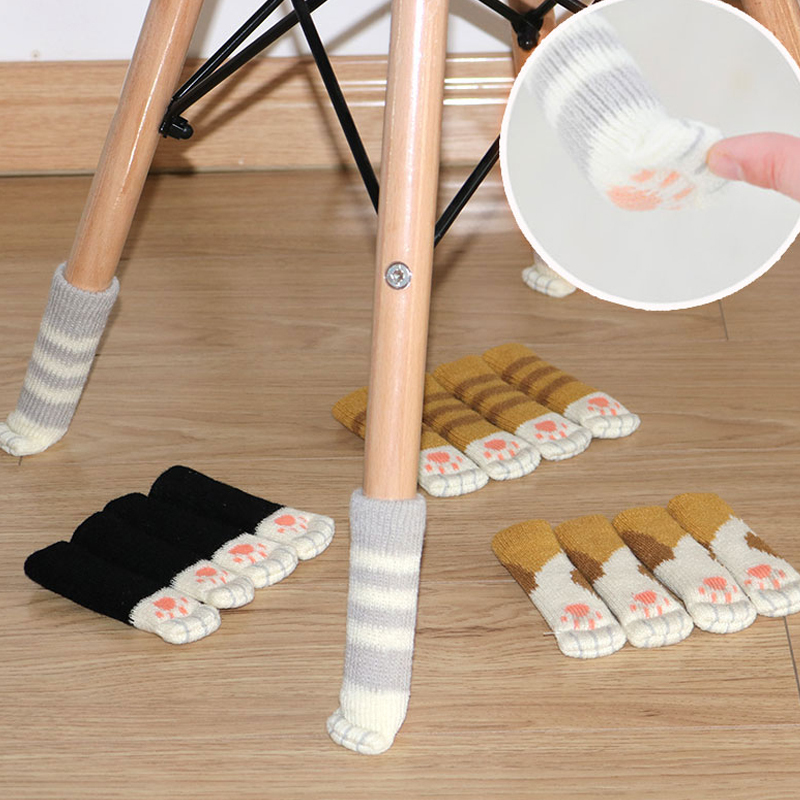 Tired of beating up your floors with the scraping and scratching of chairs and tables? 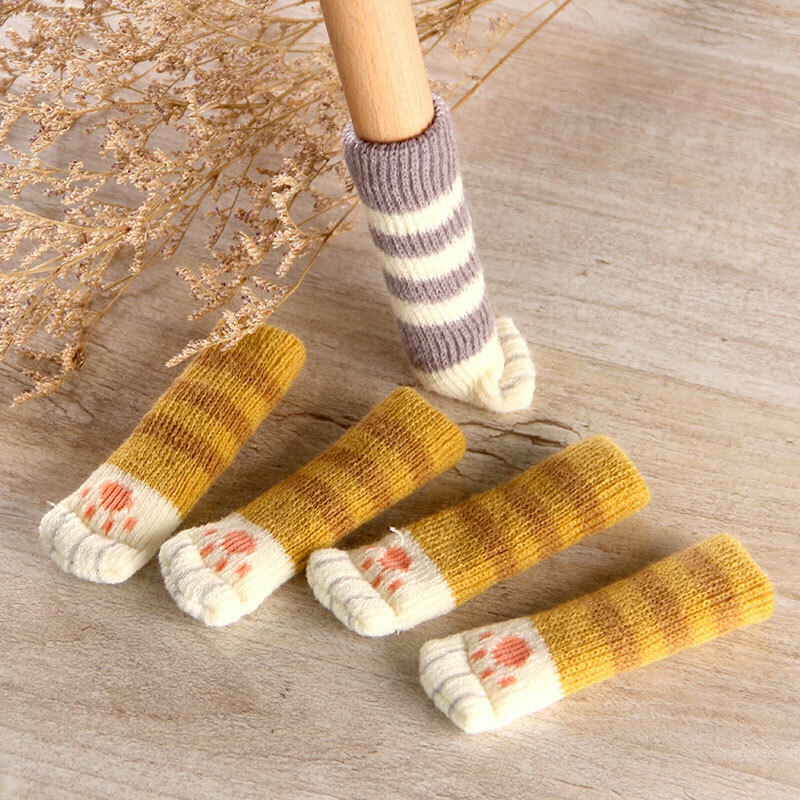 What on Earth is lighter on their feet than Cats? 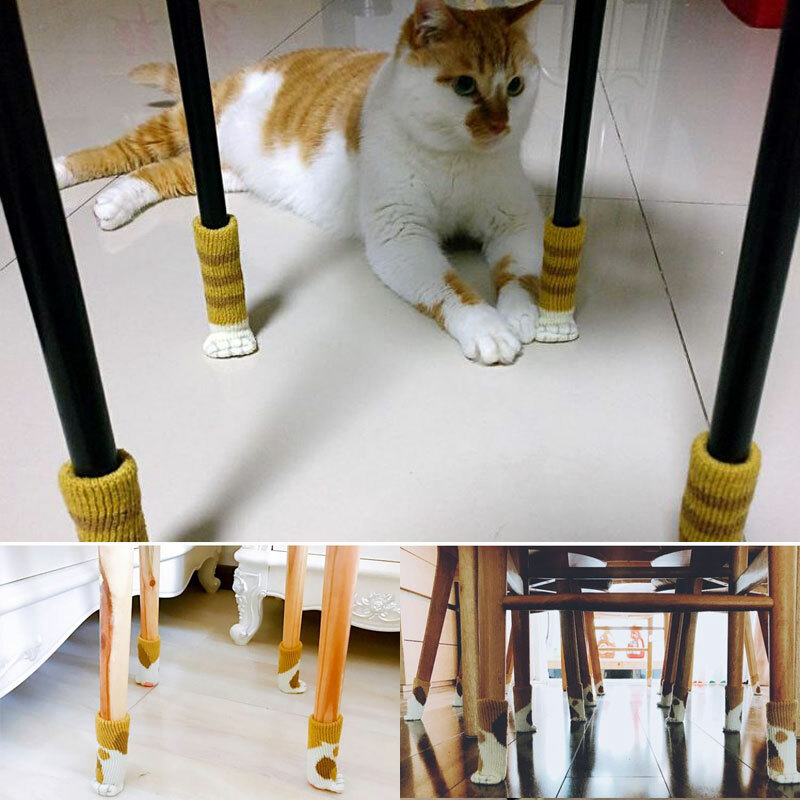 Finally, the "feet" of your tables and chairs can now be as gentle on your floors as Cats' Paws. Silly to put "socks" on furniture? Maybe, but how much does it cost to redo a floor? Even if it's just linoleum. And if it's hardwood...fuhgeddaboudit! Do it for your floors. Don't let them keep taking a beating. Bring Functionality and Personality to your space Today. Click Add to Cart to get yours. Buying items online can be scary. So we want you to know there is absolutely NO RISK in giving it a try. We always welcome phone orders, too. Delivery fast. Excellent seller and goods! Parcel tracking all the time. Gray paler than the description and longer. Socks thick, stretch well. Oochen cute and cool foot. Thought the legs of my chair will be too wide, fit perfectly! Super Fast shipping!!! The Seller sent the order 28.07, and 02.08 arrived to the post office. 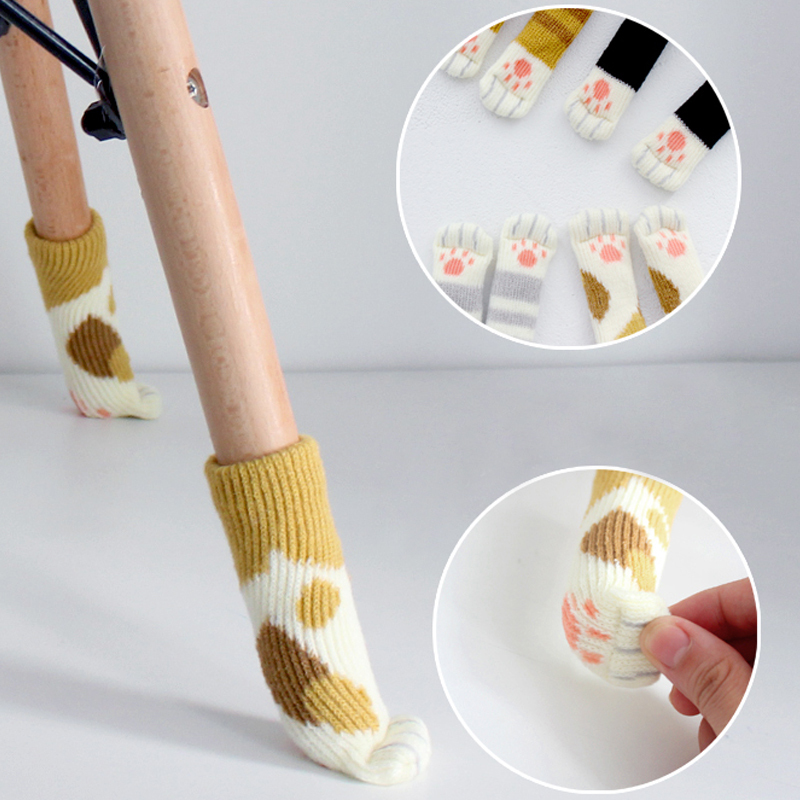 Very cute and useful item. featured item;) Dotarło very fast, ca 3 wks. all good match the description, thanks to seller. very cute! foot excellent! stretch fine! fast enough come! to seller thank you!!! funny things, like me! полмесяца shipping.